Synthesis 101 – Project based learning! 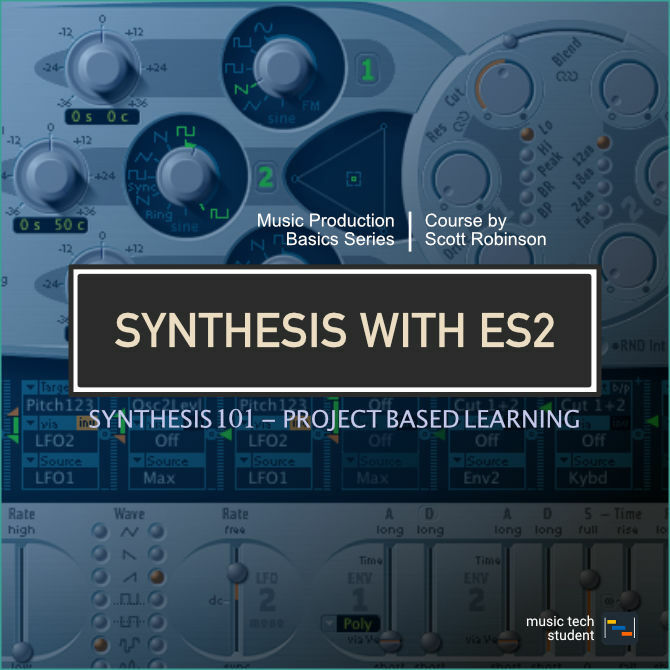 Developing an understanding for the elements of synthesis is one of the corner blocks of modern music production. With music making in the hands of the masses you need to give your sound an original edge and this is where sound design and creativity start to set your productions apart. In this course, you will be introduced to Logic Pro X’s ES2 synthesiser software plugin and get to grids with the basic and creatives uses of this powerful tool. The aim is to walk you through the basic functionality that will get you up and running with the software. We will be looking at lots of examples from the creative use, which can sometimes get a little technical.